Cyndi Lauper's concert in Raleigh, North Carolina, will be a night to remember. The singer announced Friday that she would be donating the proceeds from the show, instead of canceling it in protest of an anti-LGBT law passed by the state. Cirque du Soleil took a different approach Friday, saying it would be canceling performances scheduled in Greensboro, Charlotte and Raleigh. North Carolina's controversial "bathroom bill," formally known as HB2, was passed in March. 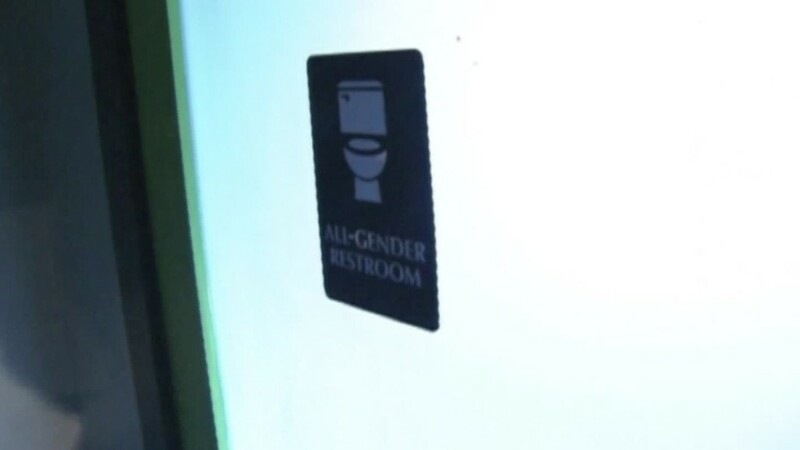 It prevents cities in the state from creating non-discrimination policies based on gender identity and mandates that students in state schools use the bathroom that corresponds with the gender on their birth certificate. Lauper plans to donate the funds to the LGBT-rights group, Equality North Carolina. Her manager and agent will also be contributing their commissions from the June 4 show. "[T]he best way I know how to make a difference is what I have strived to do my whole life and that is show up for my family, friends, and fans in the LGBT community," Lauper said in a statement. "So, for that reason I think the best way I can do my part is to turn my show in Raleigh on June 4th into an entire day to build public support to repeal HB2." Singer Jimmy Buffett also plans to still play concerts in Raleigh and Charlotte. In a post on his website, he explained that he wasn't going to"let stupidity or bigotry trump fun for my loyal fans." The NBA said Friday it is still currently planning to hold its 2017 All-Star Game in Charlotte, North Carolina. Commissioner Adam Silver said during a press conference on Friday that the NBA feels it has more leverage to change the law by keeping the game in the city and putting pressure on lawmakers. Others have taken a different stance. Last week, Bruce Springsteen canceled an upcoming show in Greensboro in protest of the law. Ringo Starr followed suit on Wednesday with his show in Cary. More than 120 companies have also denounced the law and both PayPal and Deutsche Bank have canceled planned expansions, costing the state nearly 650 jobs.